Bowl, whisk, scoop and holder. Whisk holder designed to ensure that your whisk maintains it shape. 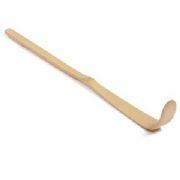 Perfectly designed matcha scoop to help ensure you get the most out of your tea. Handmade whisk to ensure you get most out of your matcha. Matcha bowl made of zisha. What’s the most important matcha accessory? 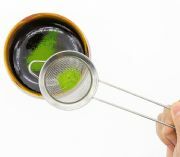 If you are drinking matcha in its traditional form you'll need a whisk to froth up your matcha. Sifts are very important too. 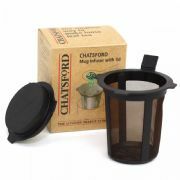 Sifting matcha before preparation will aerate your matcha power and stop it clumping. 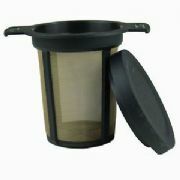 Using a matcha sift will improve the flavour of your matcha and should be considered a must. Whisk holder (only if you are using a tradition whisk). What's the best gift for a matcha lover? The matcha kit has everything you need to get the most from your matcha. 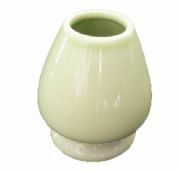 What's more buying all the accessories together will save you more than 10% on the price of items bought individually. Should I use a whisk or frother for matcha? Traditional whisks are a thing of beauty, look beautiful on your kitchen shelf and will help you connect with the ritualistic elements of matcha preparation. Frothers, are quicker and easier to use than traditional whisks and get better results.